WASHINGTON The number of Americans seeking unemployment aid barely changed last week, and the average over the past month fell to a fresh five-year low. The decline in layoffs is helping strengthen the job market. 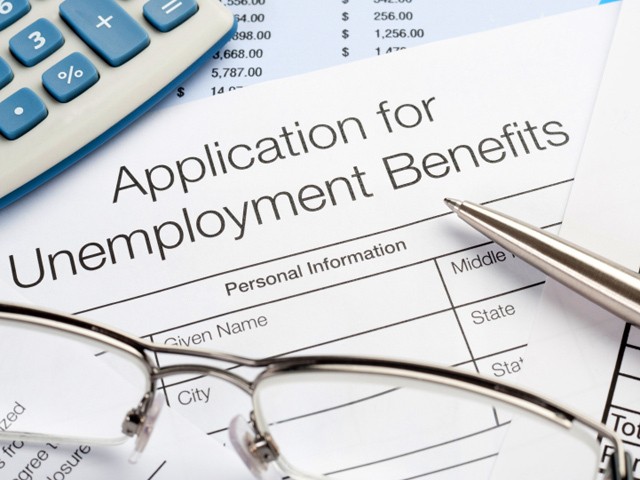 Weekly unemployment benefit applications rose just 2,000 to a seasonally adjusted 336,000, the Labor Department said Thursday. Over the past four weeks, applications have dropped by 7,500 to 339,750. That's the lowest since February 2008, just three months into the recession. Economists pay close attention to the four-week average because it can smooth out week to week fluctuations. The steady decline in unemployment claims signals that companies are laying off fewer workers. That suggests many aren't worried about economic conditions in the near future. The four-week average has fallen nearly 15 percent since November. The trend has coincided with acceleration in the job market. Employers have added an average of 200,000 jobs per month since November. That's nearly double the average from last spring. And in February, the unemployment rate fell to a four-year low of 7.7 percent. The job market is benefiting from stronger auto sales and a healthy recovery in housing. Homebuilding permits jumped to their highest level in 4 1/2 years in February, suggesting that recent strong gains in home construction will continue. New-home sales jumped 16 percent in January to the highest level since July 2008. Auto sales, meanwhile, rose in January and February after hitting a five-year high in 2012. The housing and auto sectors are being helped by the Federal Reserve's efforts to keep interest rates low, policies the Fed stood by Wednesday after a two-day meeting. The Fed reinforced its plan to keep short-term interest rates at record lows at least until unemployment falls to 6.5 percent, as long as the inflation outlook remains mild. And it said it would continue buying $85 billion a month in bonds indefinitely to keep long-term borrowing costs down. During a news conference after the meeting, Chairman Ben Bernanke acknowledged the job market has accelerated but said the Fed wants to see sustained improvement before altering its stimulus policies. Unemployment benefit applications are one of the measures Bernanke said the Fed is closely monitoring.